Meet the newest member of the Holm family. 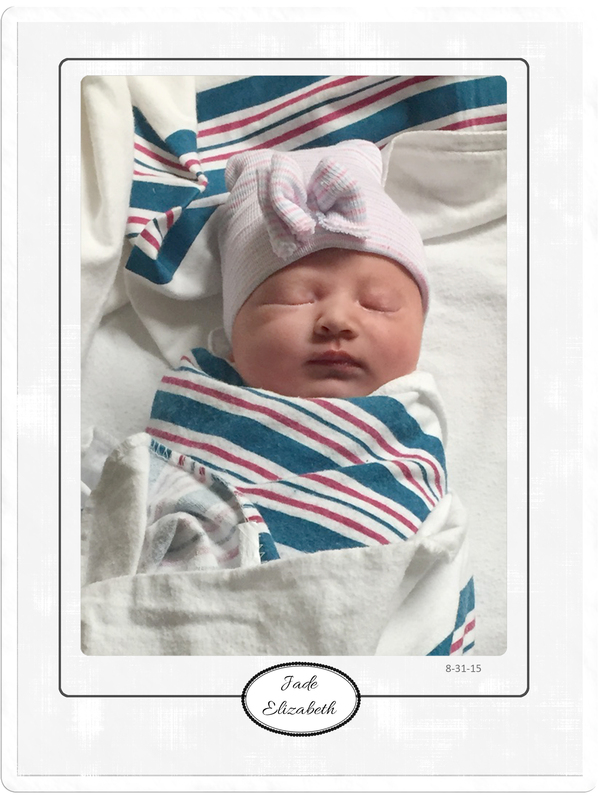 My Great Niece, Jade Elizabeth, was born yesterday to Renee’ and Jonathan. She weighed 6 pounds, 12 ounces. Congratulations Renee’ and Jonathan. She is absolutely perfect. First family photo… Jonathan, Renee’ and Jade. Renee’ looks tired but still great after 24 hours of labor and then a c-section. My beautiful baby Jade. Mi Ma is so excited to meet you in a couple of weeks! She was in the bun until perfection! Congratulations to all. A great aunt—hum that is kind of old, huh? Congratulations! Beautiful name! Everyone looks great! So perfect! Congrats to the new family! I love the frame that you chose for both of those pictures. Thank you everyone! We are soaking up this amazing life with Jade. She’s has immediately become the light of our lives.